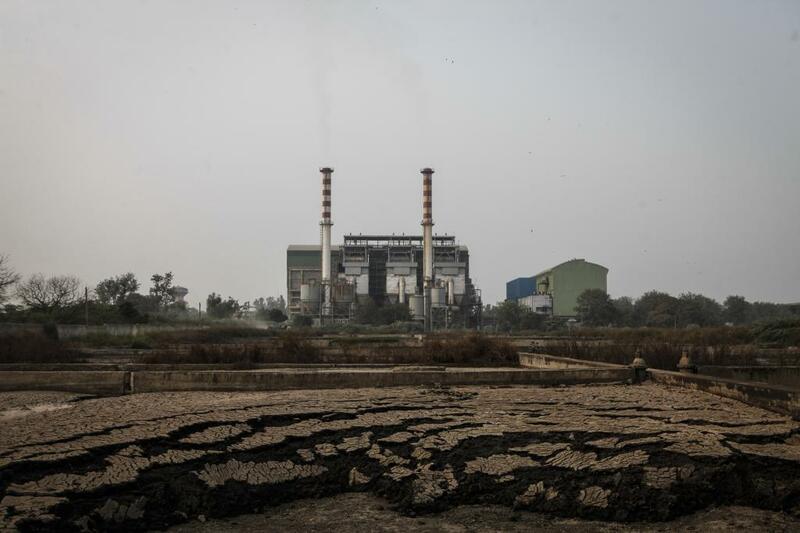 The Principal Bench of the National Green Tribunal (NGT), in a much awaited judgment on the Okhla waste-to-energy plant, has allowed the plant to function albeit after giving certain directions. The bench has directed it to pay an environmental compensation of Rs 25 lakh for previous pollution violations. The bench chaired by Justice Swatanter Kumar has ordered the company, M/s Jindal Urban Infrastructure Ltd., to pay the amount to the Central Pollution Control Board (CPCB) and the Delhi Pollution Control Committee (DPCC) in equal shares. The authorities should use the money to fund prevention and control of air pollution in the area, the tribunal says. While the judgment raises questions about the feasibility of developing more landfills to manage Delhi’s waste, the amount of environmental compensation ordered also raises questions of adequacy. One of the key contentions in the Okhla waste-to-energy plant case is the environmental pollution from the plant site and its operation. The case has been brought to the tribunal by residents of Sukhdev Vihar colony—located metres away from the plant—who have been protesting against alleged toxic emissions since 2003. Their concerns are not unfounded, evident from the tribunal’s deliberations. The NGT had passed orders time and again, asking different teams to inspect the project site and directing compliance with respect to various environmental pollutants such as particulate matter, sulphur dioxide, oxides of nitrogen, fly ash, among others. Pollution from furans and dioxins which are carcinogens or cancer-causing for humans is also a concern. A report from various regulatory authorities, including CPCB, has confirmed pollution violations, particularly until the end of the year 2014, after which the industry was found to be better complying. The NGT bench also noted that “there is evidence to show on record” that the “industry was polluting and it has operational deficiencies and its emissions were in excess of the prescribed limit” for years. Given the decade-long pollution, expectation was that even if the plant was allowed to operate, it should adequately compensate its violations. The Rs 25-lakh-fine seems to be grossly inadequate on this account. Although the tribunal holds the company liable to pay environmental compensation, it cites absence of proper data for a considerable period, as a hurdle in defining “the extent of liability with exactitude". Determining the effect of past pollution can be a challenge, but this is a classic problem that frequently comes before courts relating to industrial pollution. The issues that are typically taken into consideration for determining the “quantum of compensation” in such cases are: the magnitude and capacity of the enterprise, the duration for which the industry has been causing pollution or violating pollution standards, the economic benefit that the company has earned over years for not undertaking necessary measures, among others. The Supreme Court’s deliberation on the Sterlite case, and various other cases of pollution violations decided the international courts have determined and awarded penalty considering such issues. Even in the absence of exact data, it is known that the industry has been causing pollution for years (at least until December 2014, the period till which NGT has determined liability) and emitting pollutants including human carcinogens. In this scenario, Rs 25 lakh do little justice.